Lost Angel Walkabout-One Traveler’s Tales was chosen to be Tripantini’s READ OF THE WEEK! 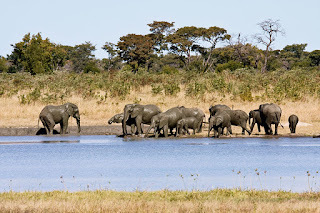 Tripatini.com is the FACEBOOK for travelers. 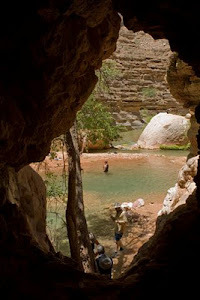 It is a social network designed for travelers and travel experts. 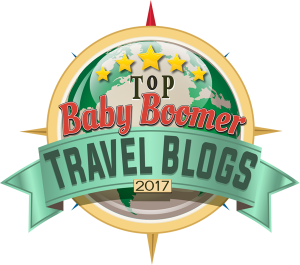 Find answers to all your travel questions here. Read the memebers reviews here at Tripantini. Wai-nani, High Chiefess of Hawai’i, and Linda, enjoyed wonderful day of laughter, hula and da kine grind at the Na Hula ‘O Wahine Luau. This event is held to raise funds to ensure the continuation of colorful Hawaiian traditions. Bright costumes, festive stage design, and tables laden with sprays of fruit and flowers bring the magic of the Islands to Los Angeles once a year. It is a beautiful way to spend a day full of Aloha. 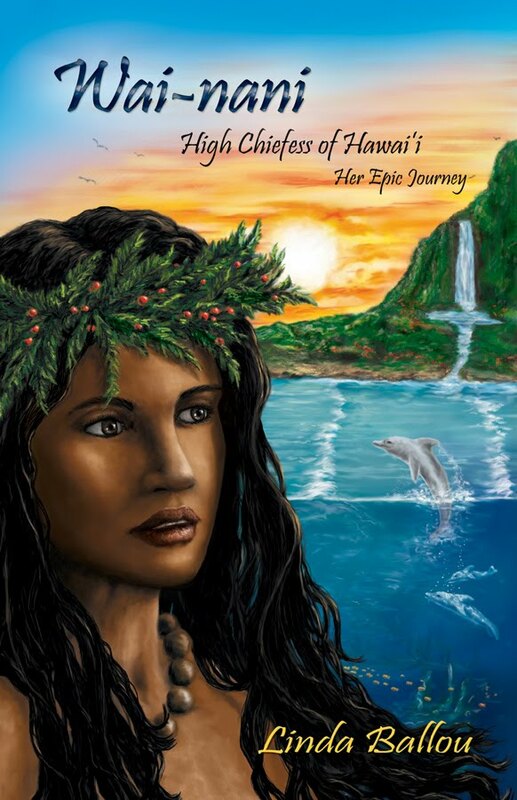 An Autographed copy of Wai-nani, High Chiefess of Hawaii – Her Epic Journey will be awarded to one lucky person on July 15, 2010. From the cauldron of controversy that is Hawaiian history, emerges Wai-nani, a reflection of the passionate chiefess Ka’ahumanu. Like all Islanders, she is a water baby finding pleasure, sustenance, solace, wisdom and courage in the ground and vibrant sea. She is born fifteen years prior to the landing of Captain Cook in Kealakekua in 1779, and is the favorite wife of Makaha, a fierce warrior modeled after Kamehameha the Great. Hawaiian women enjoyed sports, were trained in martial arts, played active roles in decision-making and participated in wars. They communed with the gods through hula and ritualistic ceremonies. Wai-nani’s bond with Eku a playful and communicative dolphin – propels her on a mythological journey couched in magical realism. 1. You will need to leave a comment in the comment box and be sure to leave your correct e-mail so we can notify you if you are the winner. 2. 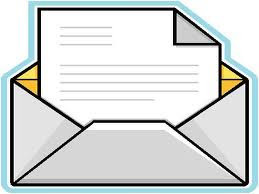 IF you would like to become a subscriber click on the subscriber button to receive e-mail updates on all blog posts. 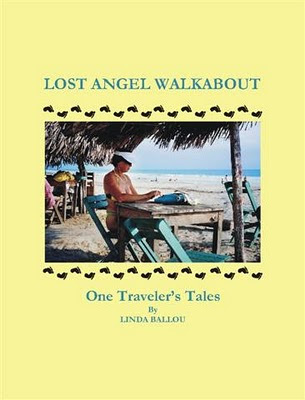 With each story I read in Linda Ballou’s book, Lost Angel Walkabout, I thought, “This is the best story in the book.” Then, I would turn the page and find that the next adventure was even more interesting. In roughly twenty short stories, travel writer Linda Ballou takes us with her up active volcanoes in Costa Rica, down hundred-mile rivers in the Yukon Territory, over combination jumps and oxers in Ireland, beneath the Sea of Cortez, and along unforgettable jaunts through deserts, woods, peaks, and valleys in both hemispheres. Her tales span years of traveling—sometimes alone, occasionally with her mother or life partner, and often with others in search of soft adventure. 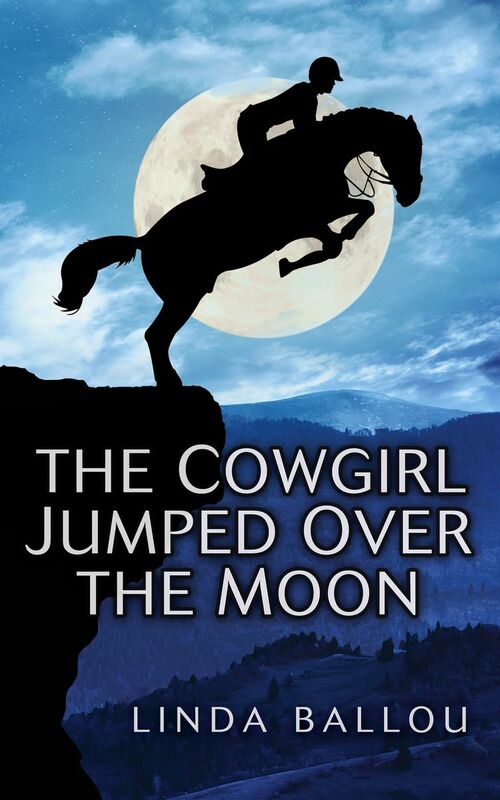 Brimming with action, intelligence, regional history, funny mishaps or tight squeezes, each story is set against a backdrop of nature’s jaw-dropping beauty. Wai-nani, High Chiefess of Hawaii is to be an honored guest at the 7th annual Luau of Na Hula O Wahine. 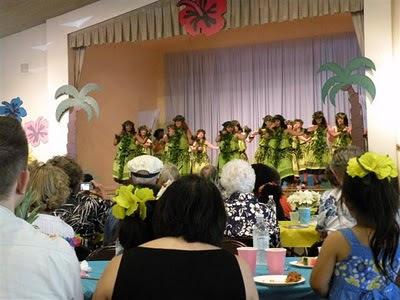 You are invited to enjoy authentic hula and song along with a delicious Hawaiian meal. 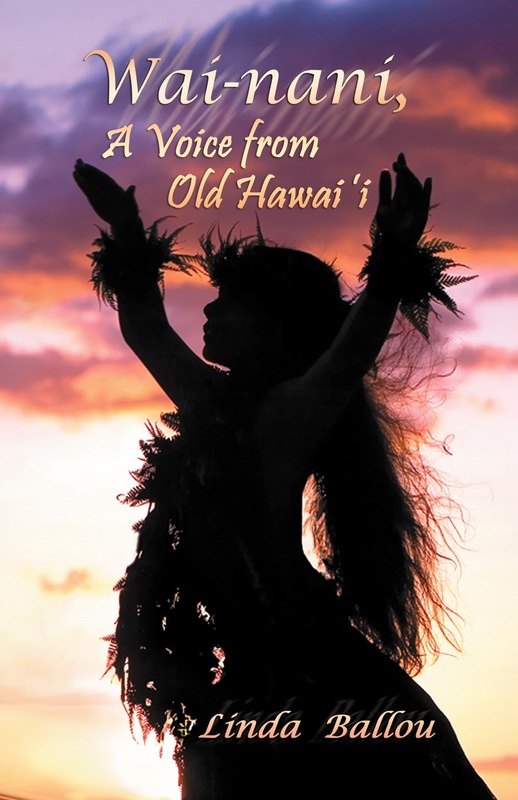 The stories of creation, of great loves, and honored chiefs are handed down in kahiko, the art of hula done in time honored ways. Kumu, Deborah Doody, embodies the spirit of old Hawaii. She sings the chants with a powerful voice and keeps the drum beat solid for young dancers who carry on the sacred dance of the Hawaiians designed to pull mana, or spiritual power, from the heavens. 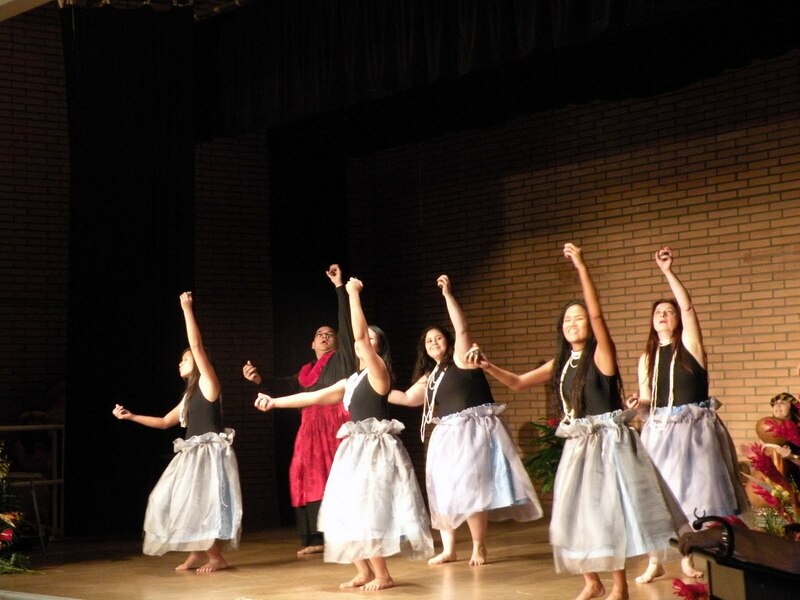 Modern adaptations of the hula will also be performed. Saturday, June 26, 2010 at Covenant Presbyterian Church 6323 W 80th St (corner of 80th and Sepulveda ) 1pm - 4pm. Doors open at 12pm. Suggested donation $12.00 children under 8 are free. Price includes a buffet lunch and show, door prizes, and a raffle will be held for a flat screen color TV. Tickets may be purchased in advance or at the door. 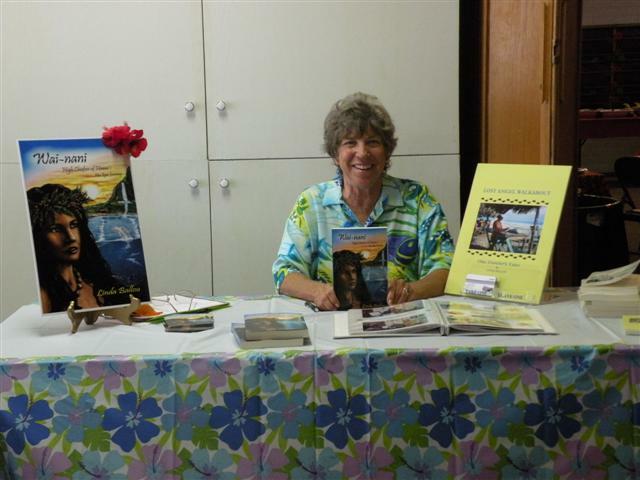 Linda’s novels Wai-nani, High Chiefess of Hawaii, Her Epic Journey and Lost Angel Walkabout stay with you long after you finish reading them. Linda talks about the heroine in Wai-nani and how she came up with the idea for the book and the research behind it. 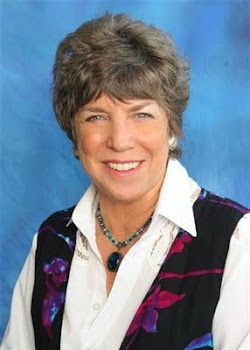 Read more of Linda’s interview at One Writer’s Journey. 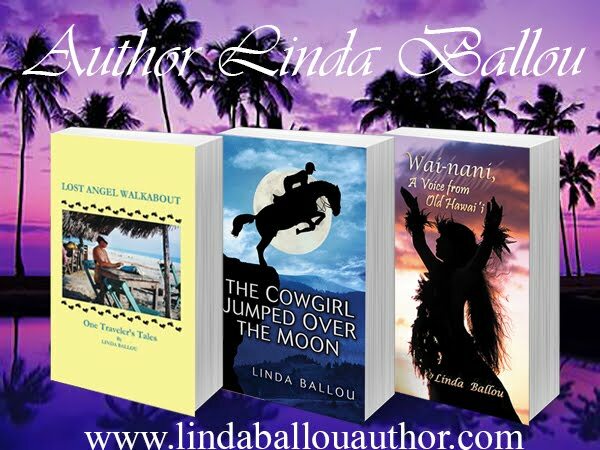 Order your copy of these amazing books at http://www.lindaballouauthor.com/ . There is an About Linda page. On Wai-nani’s media page there are radio interviews, a first chapter and reviews. If you purchase the books on her site you will enjoy free shipping. There are numerous reviews on Amazon and Barnes and Noble and all major online distribution sites. Wai-nani is also on Amazon’s Kindle Reader and will soon be available on the IPAD.